Sometimes it’s just a quick and clever spot which can generate the news column inches … and the team did just that this week. Many heads turned on the red carpet this week as Harry Styles stood out from the rest of his 1D band-mates, turning up to the American Music Awards in Los Angeles on Sunday wearing a unique monochrome floral Gucci suit. 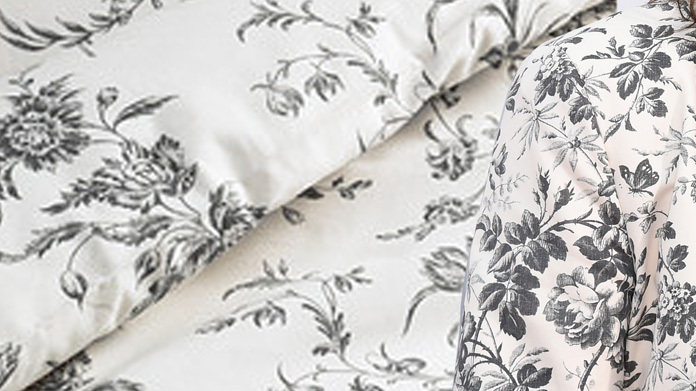 However, we spotted that you not need to fork out £3,000 and can get the same two-toned flowery outfit look for a lot less with the Alvine Kvist quilt cover and bed-set sold at our IKEA for only £20. A quick spot of press release writing, some pics of the aforementioned wonder-product and, about twenty minutes after the spot was made, we’d banged our story out to the unsuspecting media. What followed even took us by surprise. The story went everywhere. The highlight of the whole thing was the Daily Mail featuring the story three times in print, including a full page of coverage on page three. What’s more, we also secured coverage in the Daily Mirror, The Sun, Metro, Daily Telegraph, Complex, Instyle, Cosmopolitan, GQ, People, The Loop … plus many, many more.